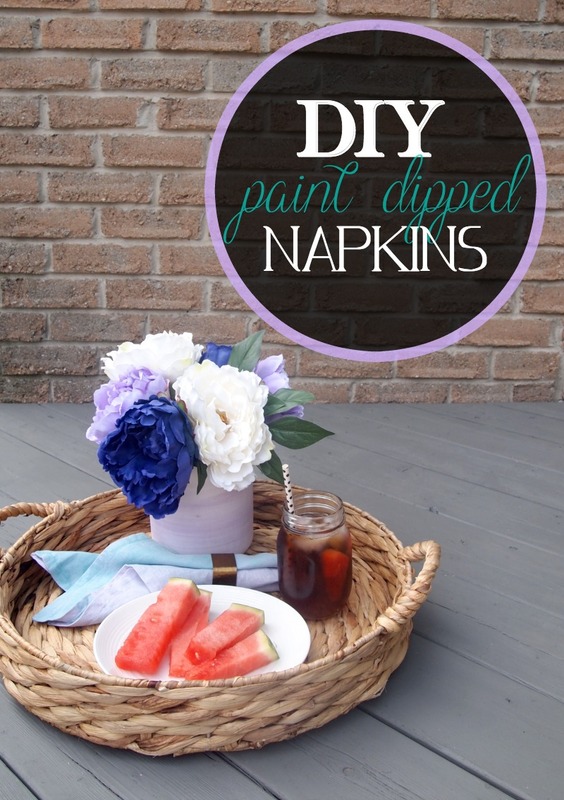 DIY Paint-Dipped Napkins Bring Color To The Table! 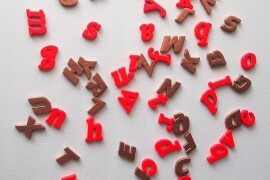 Ombré, tie-dye, paint-dipped… these are all terms you’ve surely heard, read and spoken of this year, right? That’s because it seems like 2014 is the year of all things painted, so naturally today I want to share a “painting” project with you. Why the quotation marks? Because I didn’t use a brush or a sponge or a marker to paint today. Just a spray bottle. That’s right… a spray bottle. 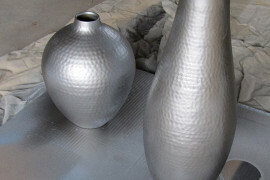 Did you happen to notice that the vase also has a paint-dipped look? That wasn’t intentional, but we can pretend like it was, right? 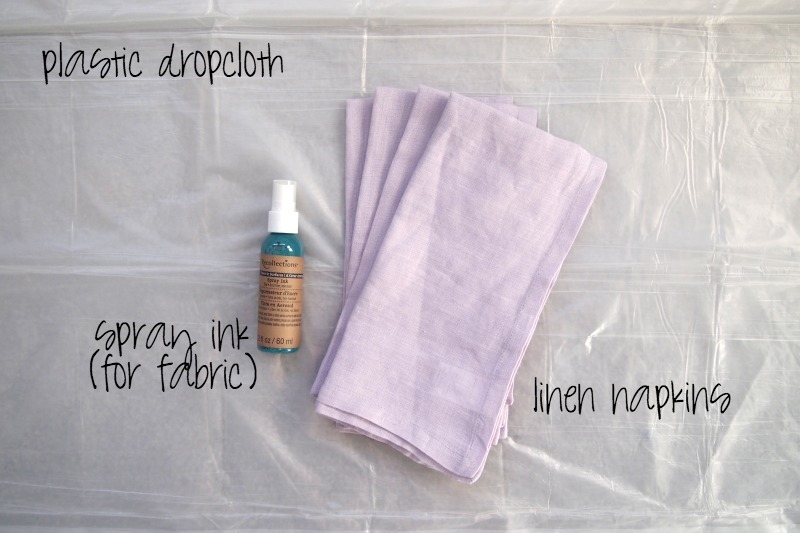 The drop cloth is a must! This ink will stain everything in sight if you’re not careful, and since working outside wasn’t an option for me this time, I covered the surface I was working on really well. 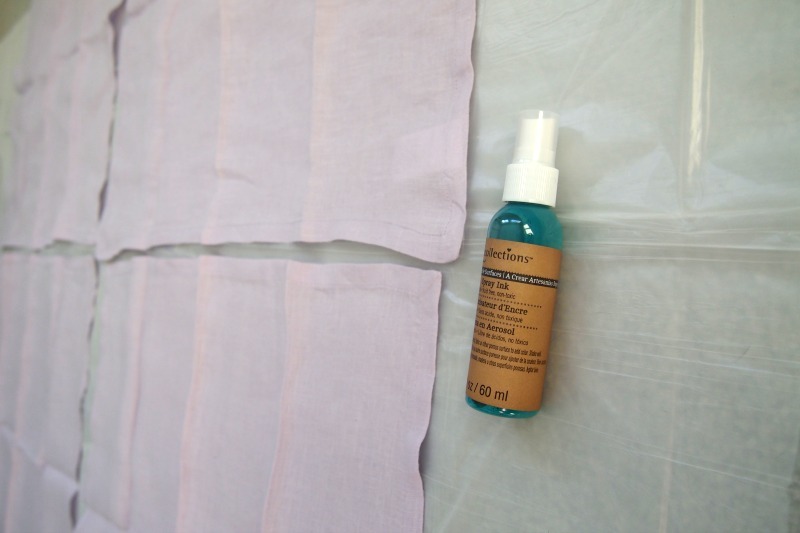 I used a spray ink, which already has the appropriate ingredients to make it adhere to fabric. 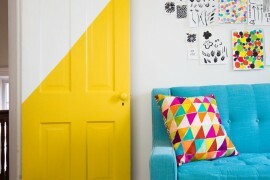 You can find something like this at any craft store and in all kinds of colors! 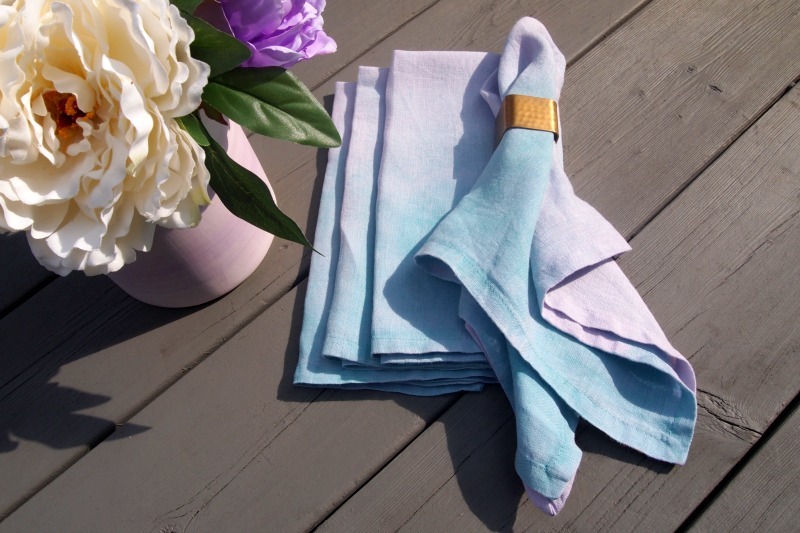 As for the napkins, I went for linen, because they are classic, easy to wash and beautiful! 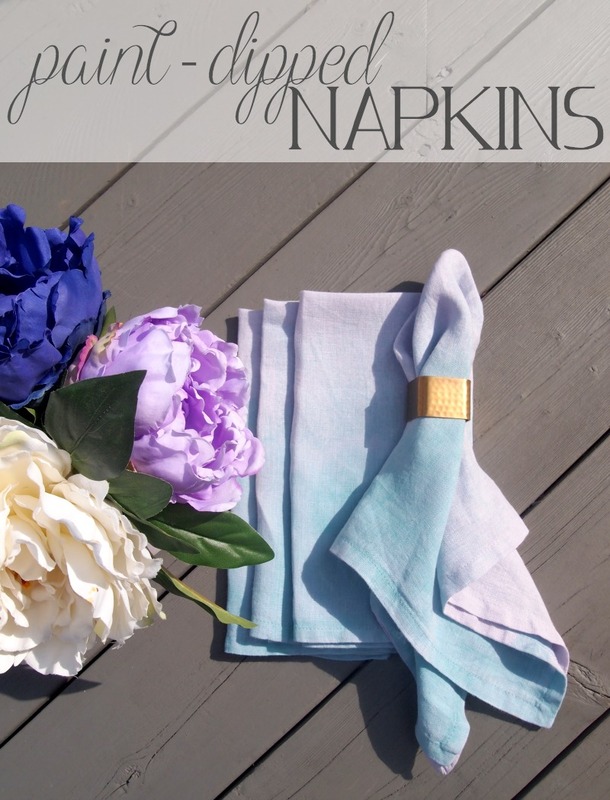 These are pre-made napkins, but if you have sewing skills, buying linen fabric and sewing some simple 12×12-inch squares could also be an option! All 4 napkins were laid out on the plastic, and I didn’t worry about spacing them out too much – you’ll see why in a moment. Also, I chose this sweet lavender color because I didn’t want the colors to look too drastic, and I wanted them to be more colorful. Not going to lie though, this would be beautiful on white napkins too! Now when you start spraying, start as close to the edge as possible – this is where you’ll want the most concentrated color. See how it sprays so nicely? I love that it’s a soft transition between lavender and teal. Keep going this way along all 4 napkins. Now you can see how having all of them close together is handy, because it’s so easy to spray that way! Keep going until you’ve reached a level of paint you’re happy with. I went solid about 1/4 of the way, then lighter sprays halfway up the napkins. The color is really strong at this point, and you’ll want it to dry for a few hours. I hung mine up outside in the shade (because I wasn’t sure how the dye would react in the sun) and threw them in the washing machine right away. Important to remember: wash them by themselves because the dye WILL run. Don’t worry about using soap – just plain cold water will do! Once they’re dry (I hung mine up to dry overnight), iron these bad boys! 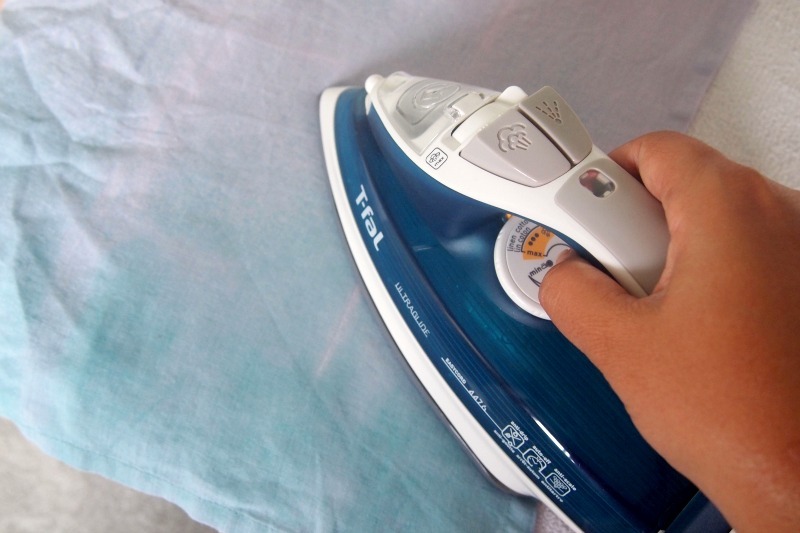 Linen wrinkles quite easily, so you can definitely starch these if you wish. I didn’t do that this time, but it’s certainly a good idea. You’ll notice the color will fade substantially! If you want stronger color, repeat the process. I loved how the teal washed out! 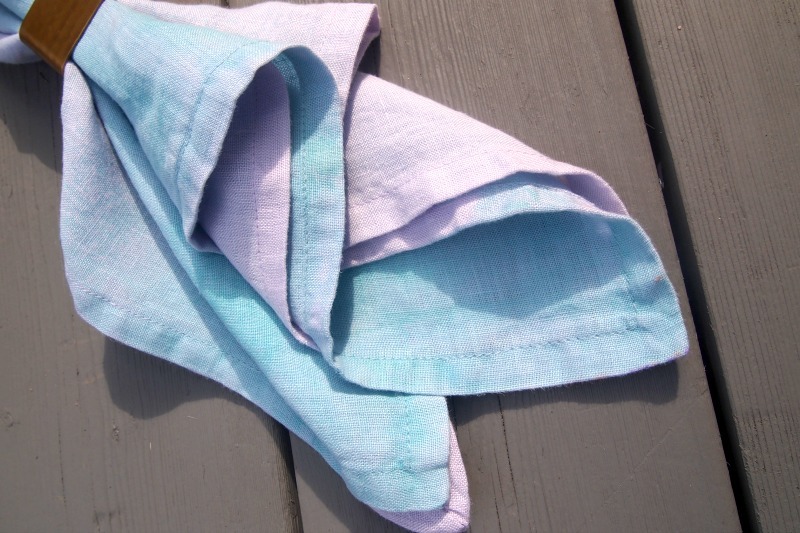 The effect is so soft and gives the napkins a worn in, pastel look. 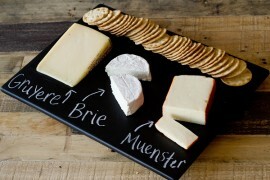 Imagine these at a wedding with coordinating colors? Dreamy! 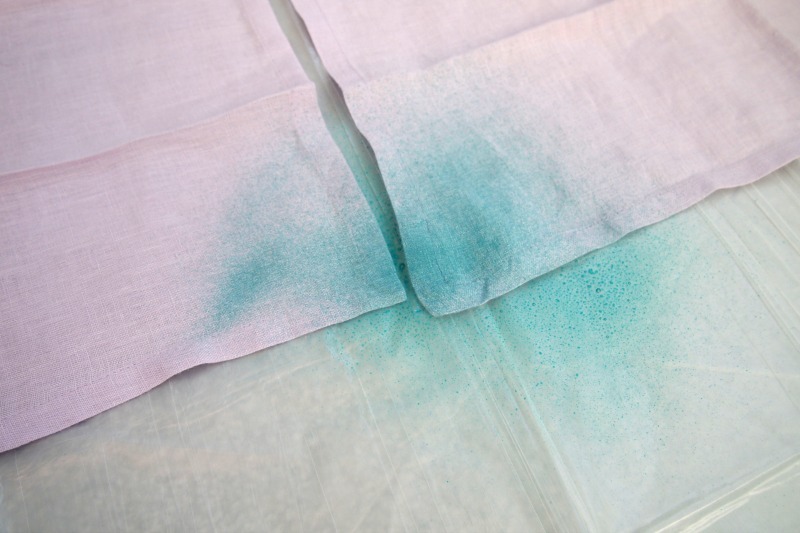 So why is this better than just dipping the napkins into dye? Well it’s not, but the effect is completely different! This way the transition is super subtle and you don’t get coverage on the front and back of the napkins (which I also loved, because if you look closely, the teal and lavender end up being side by side – and they look amazing together)! 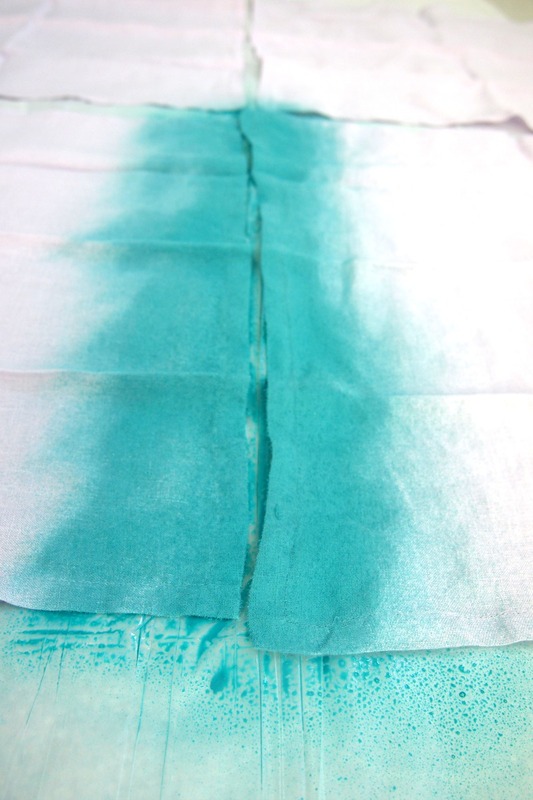 The napkins have a painted look to them because they weren’t just dipped in a bucket of dye. I happen to love that! Also, consider folding them in a more traditional way, because they also look great like that! 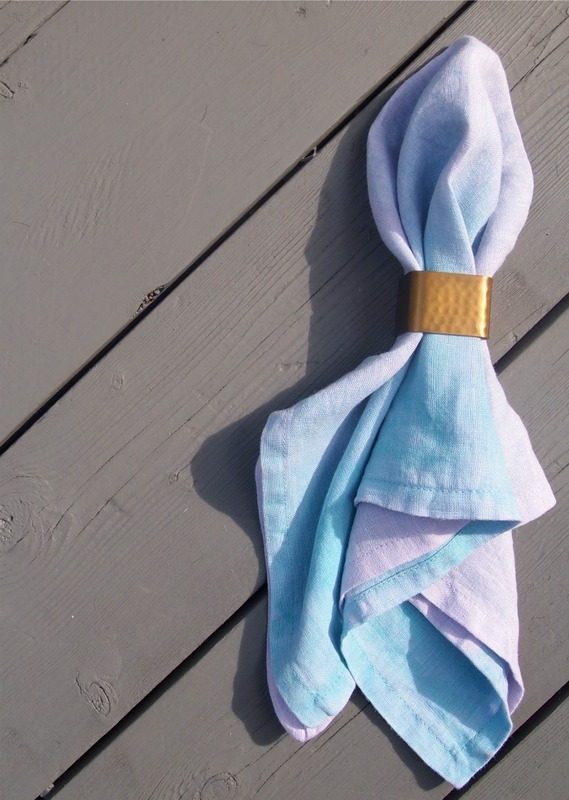 I like the scrunched up look in a napkin ring to show off the colors a little more, but these napkins will look great either way! 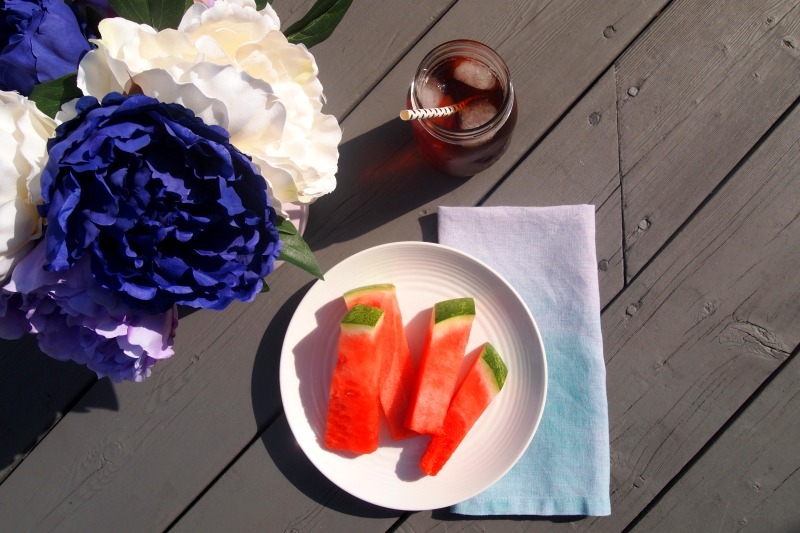 Think of how great these would look for a little summer picnic? Or just brunch with your friends! 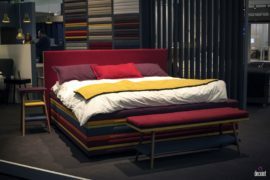 They add a subtle and sweet amount of color, and they don’t take away from anything else you might have on your table. Remember how I mentioned these would be beautiful in a wedding? 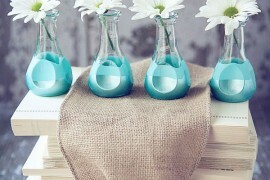 Well they would also make lovely wedding presents if you happen to like giving personal gifts! 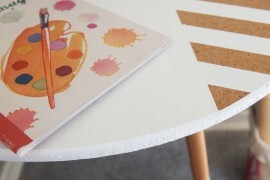 Handmade presents are always wonderful to give and receive, so there’s an idea for you! Or perhaps a gift for your mom? 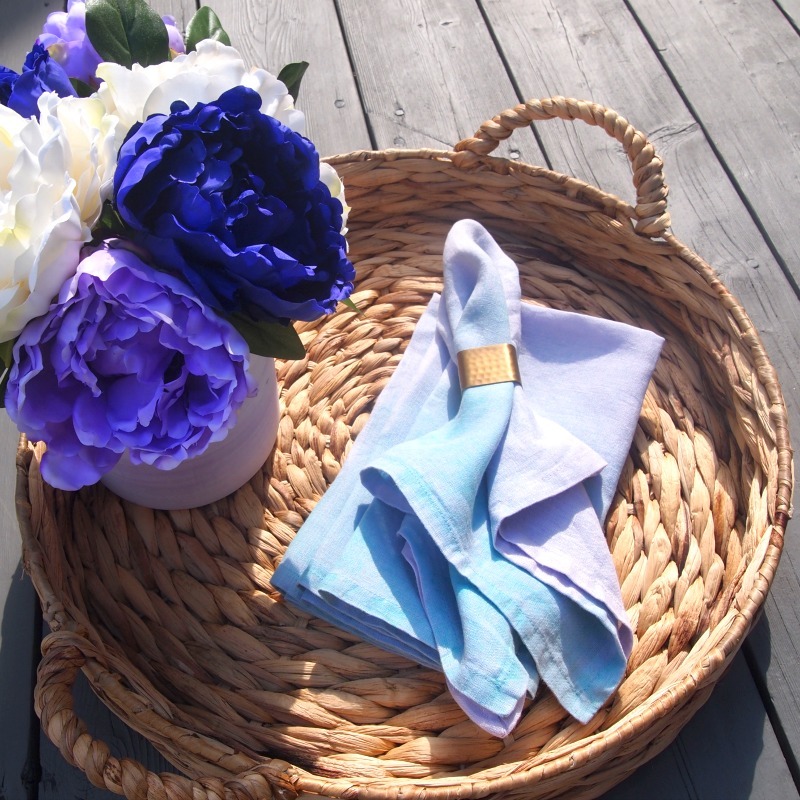 Surprise her with a lovely brunch and napkins in her favorite color! There are a lot of options, that’s for sure! Or you can always keep them for yourself – no shame in that! If you were going to make napkins like this, what colors would you choose?